A bed bug infestation is a horrible experience. These small brown insects feed on blood, leaving behind an itchy welt with every bite. Professional treatment is a must, whether you are dealing with an infestation in your home or business. 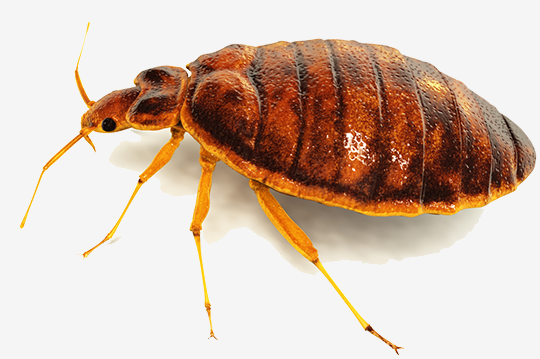 It's crucial that bed bugs are dealt with quickly and our technicians have the knowledge and experience to get the job done. Bed bugs make their homes in beds, couches and other furniture. They reproduce at an alarming rate, with each female laying as many as 35 eggs per week. A severe infestation can make your home unbearable to live in and cause customers to take their business elsewhere. It's important to seek professional help quickly if you notice even a single bed bug because the longer you wait, the more difficult they are to get rid of. 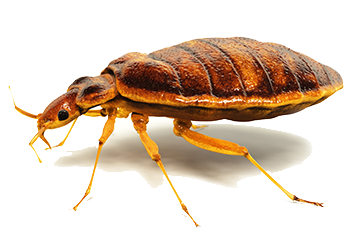 Our registered pest control technicians have extensive experience dealing with bed bug infestations and they understand how these insects operate inside your home or business. They will develop an efficient plan for eliminating the bugs, no matter the size or layout of the affected building. 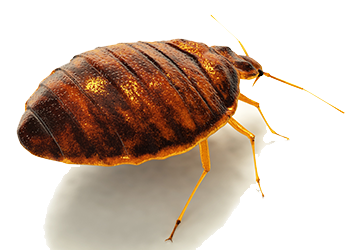 Bed bugs are excellent at staying out of sight, especially during daylight hours. They hide beneath furniture, behind wallboards, inside outlet covers and in the smallest of cracks. 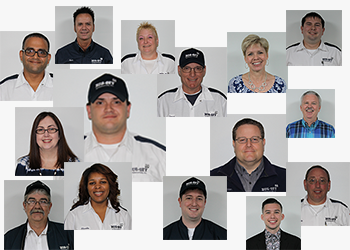 Our technicians treat every square inch of affected rooms, paying special attention to cracks and crevices where the bugs take refuge. The treatment sprays we use not only kill the insects it comes into contact with, but has a residual effect that continues to destroy bed bugs for several weeks after the initial treatment. The technician will do a thorough initial inspection of your residence or business to determine how extensive the problem is. This requires an examination of the areas beneath and behind furniture as well as inside closets and cabinets. Once the inspection is complete, a treatment plan will be developed specifically for your situation. During the next stage of treatment, the technician exterminates the adult bed bugs, as well as the eggs and nymphs that they leave behind. The entire area is then treated with a highly effective pesticide that continues to kill the bed bugs that crawl through it for weeks to come. Bed bugs readily move from one place to another if disturbed, so it may be necessary to treat more than one room in your home or business. The last step of treatment addresses the prevention of reinfestation. If the bugs have invaded your home, the technician may recommend a special high-grade bed cover designed to seal away any bed bugs, nymphs or eggs that were left behind. A follow-up inspection can also be performed to determine if a second application of pesticide is necessary. It's not difficult to get bed bugs, but it's nearly impossible to get rid of them on your own. You can't afford to procrastinate when it comes to these persistent invaders. Contact us today and let our pest management experts eradicate the bed bugs and give you back your peace of mind.